This My First Frugi hat is perfect for keeping little heads warm. 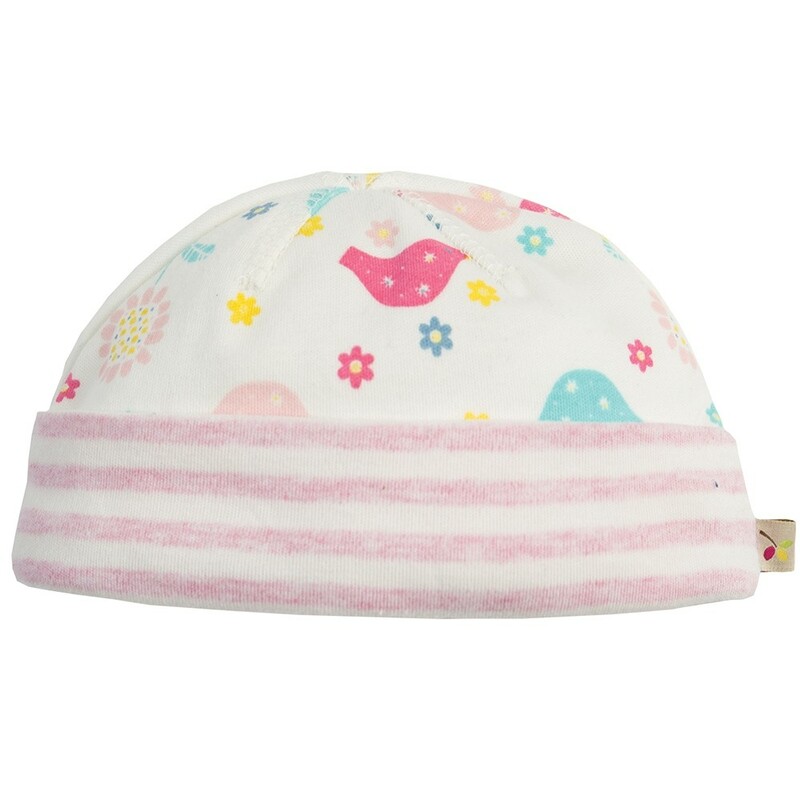 This organic baby hat is white with an adorable print of flowers and birds in pastel colours and has a pink-striped turn-up. This little baby hat is ethically made from 100% organic cotton interlock jersey which is gentle on delicate baby skin and cosy. Team up with matching items for an adorable gift for a new baby.